If you plan your trip to China you should include Chengdu in Sichuan Province, to visit the centers of giant panda conservation or the imposing Leshan Buddha. 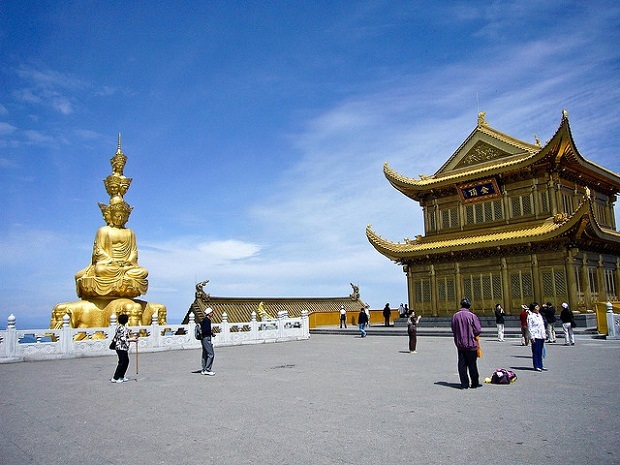 You also have the opportunity to climb to the Buddhist sacred mountain known as the Mount Emei. 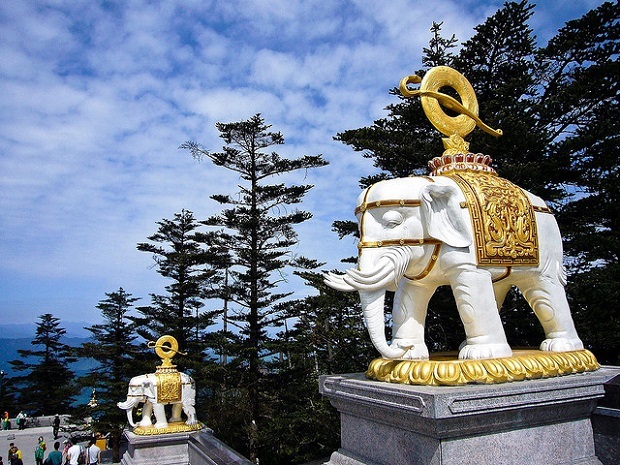 Mount Emei is one of the four sacred mountains of Buddhism that exist in China. If you like the great outdoors plus hiking then Mount Emei can be an interesting time in your trip to Chengdu. It has been declared a World Heritage Site by UNESCO and settled by humans since ancient times. We also know that 5.000 years ago a Chinese emperor climbed Mount Emei to learn Taoist thought. 1900 Years ago was built on Mount Emei the first Buddhist temple in China. 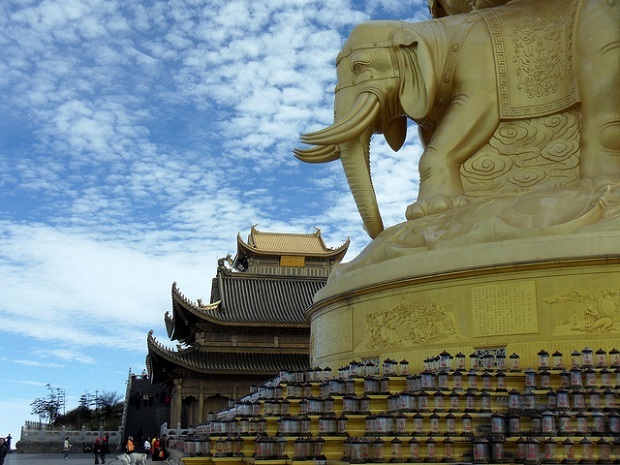 Today Mount Emei with just over 3.000 meters is the highest of the four sacred Buddhist mountains of China and in it are up to 17 Buddhist monasteries and Buddhist background spans all natural with paintings, sculptures etc. Every year thousands of tourists come to visit Mount Emei in Sichuan. On one side are the pilgrims climbing to the Top Golden enclave with Buddhist monasteries and temples such as the Golden Temple. 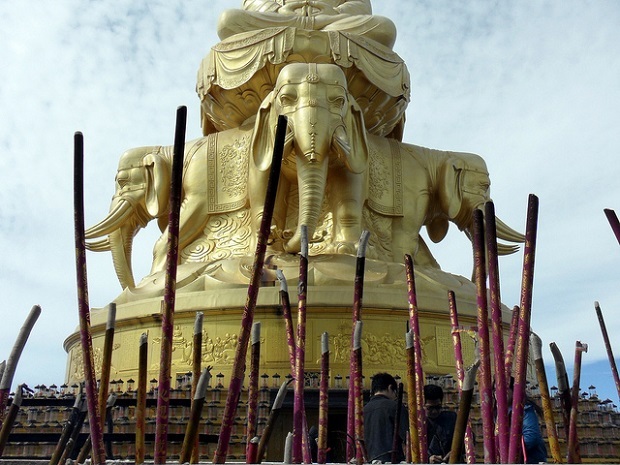 There are large sculptural gold such as the monument to the Buddha Samantabhadra known in China as the Buddha Puxian. But also Mount Emei is a great natural scenery attracting large landscapes, especially with its seas of clouds which has become a major tourist attraction for its sunsets and sunrises. 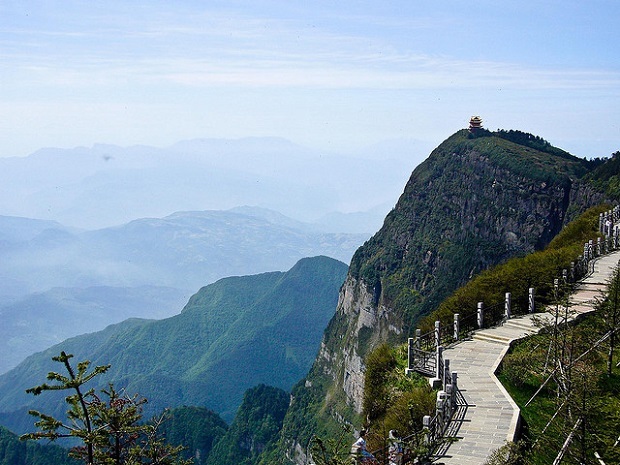 Also tourists have the possibility of making a long trip hiking up the side of Mount Emei. To visit Mount Emei, you must go by bus from Chengdu and Leshan to Emei Shan, the town located at the base of the sacred mountain of China. 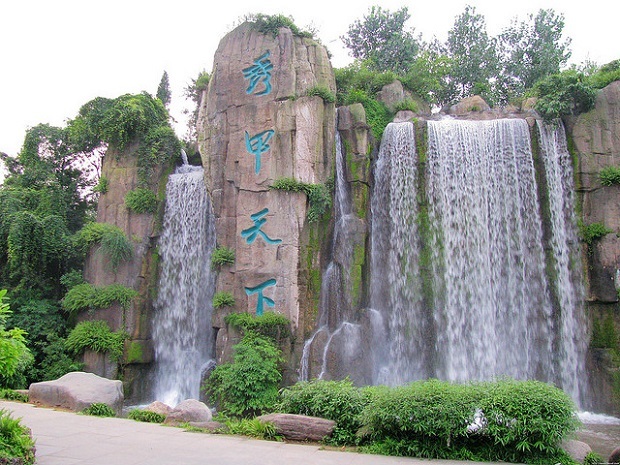 To enter the natural environment of Mount Emei you have to pay an entrance fee of 150 CNY, 16 euros. In this enclave and you can visit the main temples and Buddhist monasteries and enjoy beautiful panoramic views. Mount Emei photos: Derek Lee, Dannier Type, Ian Clarke.